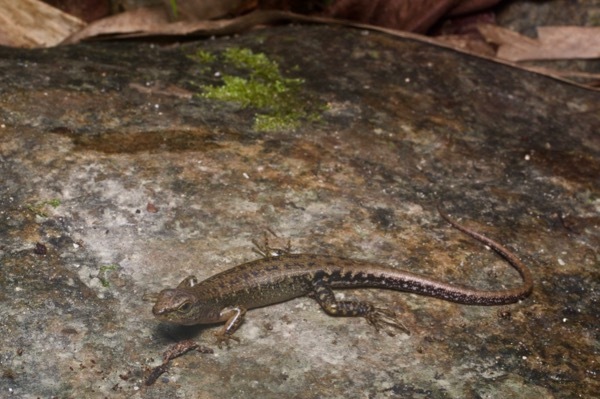 We found this supposedly diurnal skink crawling around in leaf litter at night. Go figure. I had originally ID'ed this skink as Tropidophorus beccarii. Thanks to Borneo snake expert Bjorn Lardner for questioning this ID on iNaturalist.